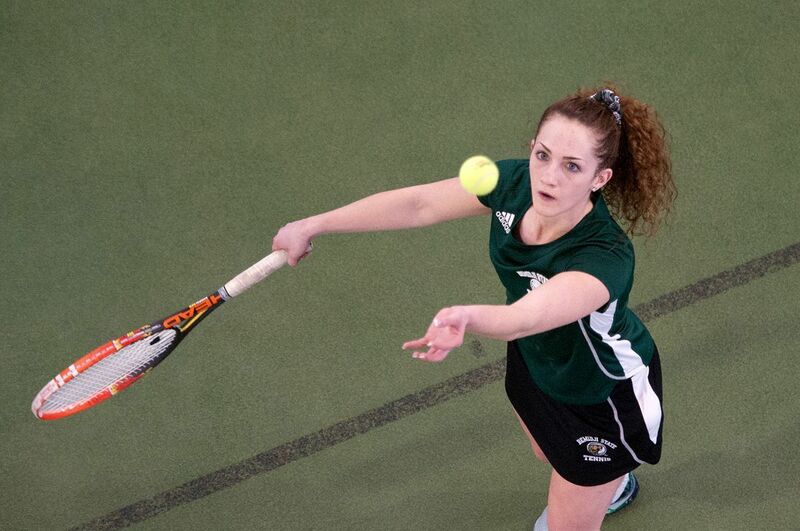 The Bemidji State University Tennis team will open its 2019 season with a pair of matches this weekend. Saturday the team will travel to Grand Forks, N.D. for a 2:30 p.m. non-conference match up with NCAA Division I opponent University of North Dakota. Sunday the Beavers return home to the Gillett Wellness Center to host St. Cloud State University at 11 a.m. in the team’s Northern Sun Intercollegiate Conference opener. The Beavers were slotted No. 4 in the 2019 NSIC Coaches’ Poll and garnered 82 points. Nine-time defending NSIC champion Augustana University headlined the list pulling in 121 points and 11 of the 12 first place votes. Minnesota State University-Moorhead collected the final first-place vote and 111 points to hold down the No. 2 spot, while Winona State University received 92 points to round out the top three positions. Bemidji State opens 2019 looking for its fourth straight 10-win season. Beavers finished the 2018 campaign at 10-5 overall and 7-4 in NSIC play to tie for fourth place in the league standings and earned the No. 4 seed to clinch a spot in the league’s postseason tournament for the third straight year. BSU advanced to the NSIC semifinal for the first time since the league changed to its current tournament format in 2010 with a 5-3 victory over Minnesota Duluth before it was defeated by Augustana. At the conclusion of the season, three BSU players were selected for All-NSIC honors. Junior Zoë Lindgren earned a spot on the league’s Second Team as a singles player, while sophomores Hannah Alme and Ariadna Lopez-Simo etched earned recognition as All-NSIC Honorable Mention singles players. Now a senior, Lindgren was also named as an NSIC Player to Watch in the same poll. The Bozeman, Mont. native is a three-time All-NSIC selection and is coming off a 2018 season during which she posted a of 7-7 record in singles play, including a 5-6 mark versus league competition, in BSU’s top singles position. She was sixth among the league’s No. 1 singles players with seven wins, while her .500 winning percentage placed her seventh. She owns a 30-14 record in singles play to rank among BSU’s all-time wins leaders and has compiled 27 doubles victories during her first three seasons. BSU returns Lindgren and five others to its line up from 2018, including its top five singles players, and has added one player for 2019. Alme led all Beavers with a 13-2 overall singles mark in 2018, which included a 10-1 record versus the NSIC, mainly in the No. 3 singles position. The last time the Beavers went head-to-head with North Dakota was 2009. UND took the match 7-0 in Grand Forks, N.D. earning straight sets victories in four of the six singles matches and sweeping doubles play. Since 1998, BSU and UND have met on 10 occasions with the Fighting Hawks earning a victory in every meeting. BSU hosts SCSU with the hope of winning its third straight over the Huskies. A year ago, BSU hosted SCSU and gained a 5-4 victory. After taking a pair of wins out of doubles play, The Beavers got singles victories by Lindgren at No. 1, Alme at No. 3 and Brooke Mimmack in the No. 4 spot to seal the team win. BSU’s match versus SCSU will be played at the Gillett Wellness Center on the campus of BSU. Admission is free and the public is invited to attend.